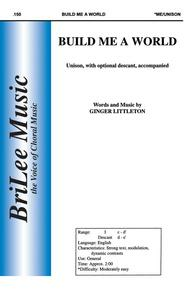 With an exceptional text that is beautifully supported and augmented by accompaniment, this is a first-rate choice for young voices! "I'll climb the mountains and look out over the sea. I'll build the bridges connecting people to me...I'll build this world if you'll stand beside me. Give me hope, give me faith, give me love." 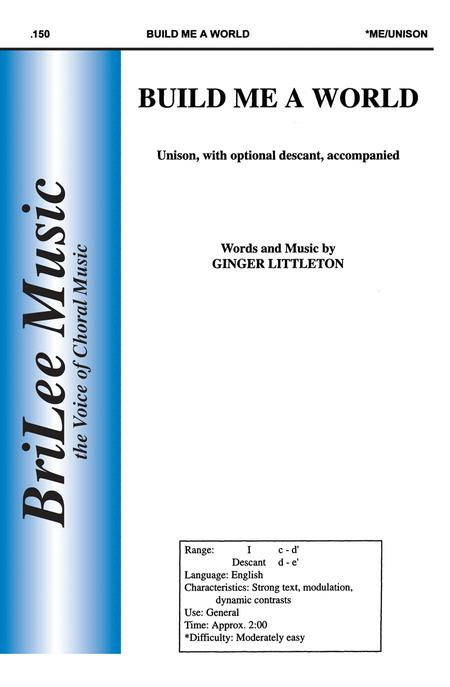 Scored for unison voices with optional descant, this will sound full with young singers, and it has an important message that will inspire them to sing their best.